After graduating with an undergraduate degree in Chinese from the University of Edinburgh in July, I was lucky enough to be accepted onto a Chinese taught Master’s programme in Public Policy at Tsinghua University commencing this September. With the support of the John Speak Trust, I was able to come to Beijing early and take part in an advanced language course at Beijing Language and Culture University for a month before my Master’s programme began. 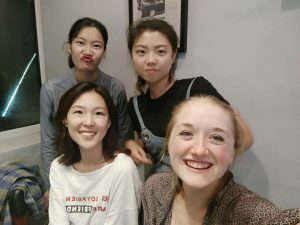 This experience has been invaluable to me – it has not only allowed me to improve my Chinese ability through the language course, getting me up to a standard where I now feel well-equipped to succeed in this Master’s programme, but it also forced me to live in a fully immersive Chinese-speaking environment which has allowed me to improve my spoken Chinese and to fully settle in to my new life here in Beijing. A condition of the John Speak Trust was for me to fully immerse myself in the local language – whilst taking the language course, I stayed with a young professional Chinese woman who has helped me greatly with improving my Chinese during my time here. Arriving one month before my Master’s programme began and speaking Chinese everyday allowed me to refresh and enhance my speaking ability. 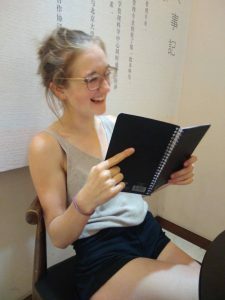 The language classes, taught fully in Chinese, allowed me to connect with other advanced learners from all around the world, many of whom already use their language skills in an occupational capacity, whilst also allowing me to develop my own language skills. During the last week before starting my Master’s programme, my flatmate invited me to visit her family home in the north-eastern part of China, a small city called Yichun. 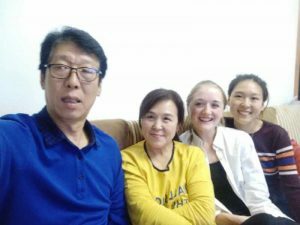 This was a great experience that allowed me to use my language skills in a new environment and further my understanding of Chinese culture, family life and values. I was forced to get out of my comfort zone to eat things that I wouldn’t have dreamed of eating in the UK, to introduce myself and use Chinese to tell stories to large groups of her family and to try to communicate using Chinese in response to a regional dialect that I was not familiar with. 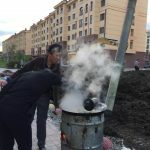 My flatmate’s family welcomed me into their home and I had a wonderful experience exploring an area of China that I had never been to before. I have now just completed the first week of classes here of my Master’s programme and reflecting back on this experience supported by the Trust, I am extremely grateful for the support that I have received, without which I would not have been able to improve my language ability in such a way nor would I have established such a great relationship with my Chinese flatmate. I would not be having such a great experience here so far were it not for the financial support and encouragement to stay with locals given to me by the John Speak Trust, and so I would like to take this opportunity here to thank them once again.